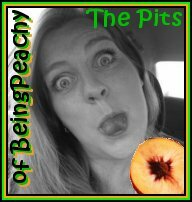 The Pits of Being Peachy: In Your Face International Trade ! Are you kidding me? Everything I own is made in Tiwan or China. I went to purchase an American Flag and guess what it was too. So what does America produce anymore? Is anything actually MADE here. I just feel like we don't make anything anymore yet we have some of the highest standards in the world. I was so upset over this epiphany that I loaded up my family and went to the authentic Chinese Buffet. They don't speak English, but they smile and their food is so good ( No MSG) and priced just right. At the end of the meal our waitress brought us our Fortune Cookies. We always laugh and say who should have gotten which fortune cookie. 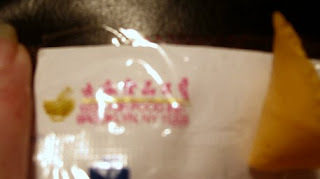 Then as I grabbed up the little plastic wrapper I saw this. Bwahahaha!!! That's what you call IRONY right there! It was a beautiful moment for me. Because I may have an issue identifying their flag, but anyone can call out " hey that's a fortune cookie" !